There is a new violinist on the scene who appears to be legit. His name is Ray Chen. Born in Taiwan, raised in Australia, studied in the US. He is 25, has been winning prizes since he was 13, and has already accumulated a sizeable list of international appearances on his resume. He was signed to Sony Classical in 2010. I have been watching a lot of youtube videos of Chen. He has probably the cleanest violin technique I have ever heard. His intonation is never off, and his bowing is immaculate. But what sets him apart is his articulation. It sometimes seems like violin soloists are in a competition to see who can saw the listener's ears off in the most efficient fashion. Chen is not just the latest amplification in this series. He plays as if the music is talking, telling stories that include humor, wit, and maybe a little shyness and vulnerability, not just bloodlust and passion. In a field of human buzzsaws, Chen comes across as a veritable revolution in eloquence. This is quite good, even to a limited Mozart fan. I believe Mozart wrote his handful of violin concertos when he was in his teens. I'm not sure how often these are played, but I have never heard any of them. The disc begins with No. 3 in G. The first movement is uncomplex but based on a rhythmically interesting figure. The stand-out track on the album is the adagio from this concerto. The second work, No. 4 in D, is a little bit more mature, yet seems less memorable. The third work is a fairly relaxed sonata for violin and piano. The allegro contains a wonderfully sprawling, drawn-out phrase that is repeated several times as a single line of music. The second movement is a laid-back set of variations on a theme in which both the piano and the violin are given exended time without accompaniment. Ray Chen's mark is subtlety, and it is put on display here. The defining track on this album is the adagio from Concerto No. 3. Anchored by a simple, high-arching theme, Chen pulls back from the top of the phrase to just barely pull the bow across the strings. You often hear micro-adjustments in his long notes, and he let's the music breathe between passages. This movement is almost the violin equivalent of Miles Davis. Chen plays a Stradivarious known as the "Lord Newlands," loaned to him by the Nippon Music Foundation. The sound is not what you think (at least, it is not what I thought). It produces a warm tone with a close, centered middle and soft edges, not the lush steamroller I have heard on other recordings featuring Strads. This instrument matches Chen's style of intimate rather than declamatory playing. All of the cadenzas on this disc were composed by Chen himself. They are generally very structured, recapitulating the thematic material from each movement organically instead of virtuosically, and they display a keen ear for counterpoint. There may be a future for Chen in the realm of composition. I got this in the same shipment as the Mozart album, but refrained from reviewing it until now. I have listened to it several times now over roughly two months, and I don't think my understanding of it is going to get any deeper at this point. For the most part, I think it is simply a collection of violin showpieces intended to introduce Chen to classical audiences. I think it probably works fairly well in this capacity, and probably more so to people who are more familiar than I am with the violin repertoire. What I want to write about, though, is the Chaconne. First, I feel like this is the only piece on this album that I am really qualified to judge. Second, I think it is the most serious and important piece on the album, as delightful as the other music is. I am about 80% certain that I heard this on Chicago's classical station WFMT when the album came out. The timeframe is right and I remember the violinist having a Chinese surname and a one-syllable English given name. I have listened to all of Bach's major works, most of his minor ones (including all of the cantatas), and have to one degree or another studied a select number of them. The Chaconne falls into this category. I remember pulling into a parking lot and sitting in my car to hear the piece out in its entirety. I remember the sound of the Lord Newlands that Chen plays. It's funny that it turns out to be a Stradivarius, because I don't think I liked it when I heard it. I was also impressed with the performance, but also critical. I have listened to this track over and over, more than the others, to try to figure out the impetus or guiding principle behind it. I have to conclude at this point that I cannot decipher its deeper character and that it is somewhat lost on me. There are glimpses or impressions that I get, but not a whole picture. I can lay out certain technical descriptions too--such as overly restrained arpeggios, lack of a real head on the instrument when Chen does push the music, and a wandering as opposed to a driving and building momentum. But this one is really a bit of a mystery to me. I can find no fault with any single passage, yet the result leaves me somewhat unsatisfied. I hope those who read this will accept it as the album review. 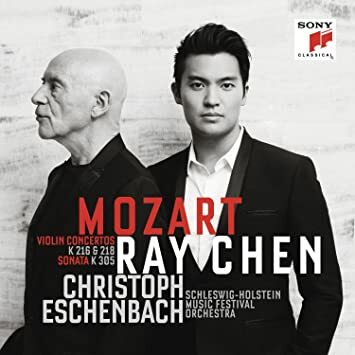 May 13, 2015 Updated 8:17 p.m.
Ray Chen, 26, winner of the Yehudi Menhuin Violin Competition and Queen Elisabeth Music Competition and a Sony recording artist, gave a dazzling and musically substantive recital Tuesday night at Renée and Henry Segerstrom Concert Hall. This listener found rewards in both the music offered and in the way it was performed. 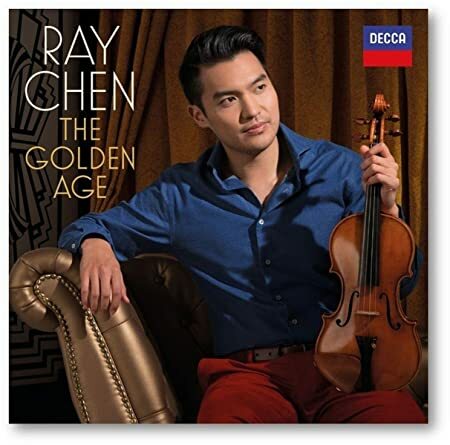 The Taiwanese-Australian violinist, though well established on an international career, is not a household name (yet), but the kid can play, and he has an attractive stage presence to boot. He used youth to his advantage Tuesday, or, rather, he didn’t bother to hide it. Chen is still clearly excited to be onstage and this is partly expressed in his vigorous physical movements, from head to toe. He also smiles a lot, both during the performance of a piece and afterward, during the applause. He’s glad to be there. No false, dignified airs are put on. Chen’s excitement was also evident in his address of the music at hand. He dug into these pieces with the audible relish of Homer Simpson sitting down to a meal. There were moments when, I felt, he practically jumped out of his skin, the music vibrating with a kind of electricity. Was it too much? It could have been, but Chen has the technique to pull it off without strain. That technique is something else and it’s of a kind. That is, it’s a little bit old school in that there’s a lot of portamento (slides between notes) in the line and a vibrato that is doled out carefully but at times can rise to operatic proportions of oscillation. There was never anything cool about Chen’s playing Tuesday; it was at the very minimum warm and often rose to hot or even boiling. It was also very violinistic, colorful and juicy and snapping bow hairs by the dozen, rather than prim and proper and evenhanded. The program offered variety, entertainment and sophistication. It opened with Schubert’s uncharacteristic (and seldom encountered) “Rondo brillant” in B minor, a melodramatic and by turns folksy work that oddly doesn’t stop when it should and goes on at least five minutes too long. Chen and pianist Julio Elizalde, an eloquent and expressive collaborator throughout the night, gave it a dashing, swashbuckling performance. The Violin Sonata No. 2 by Brahms came next, an amiable and tender work that doesn’t give a virtuoso much opportunity to show off. Chen parsed every phrase closely, piling nuance upon nuance, and rose to passionate heights. The reading had the lusciousness and full flavor of a ripe peach. It might have been too much for this piece, but Chen made it work through sheer perseverance. Arvo Pärt’s “Fratres,” – ritualistic, mystical, mathematic – launched the second half of the agenda, Chen revealing plenty of theatrical flair, bringing glowing feeling to mere arpeggios and athletic gusto to minimalistic whirs. The reverberant hall was a good partner in the ethereal, floating passages. Stravinsky’s music for violin and piano is such a delight it’s a shame we don’t hear it more often. Here, Chen and Elizalde polished off the Divertimento, an arrangement of music from the composer’s ballet based on Tchaikovsky, “The Fairy’s Kiss.” The playing was aggressive but never harsh, propulsive but never pushed, virtuosic but full of finesse. The rhythmic energy was palpable. The comedic coda was slippery slapstick fun. Chen’s account of Ravel’s “Tzigane” was the most blazing this listener has heard since Ruggiero Ricci, a violinist he resembles at times. His vibrato pierced like a laser beam. His phrasing had an apt improvisatory feel, spontaneously combustible. His harmonics were as sweet as jelly. His fast playing obtained the edgy vigor of a rock guitarist at full flight, but remained clearly articulated. In a word, it was thrilling. The crowd loved it and told him so. He offered exuberant thanks and provided an irresistible encore – Sarasate’s “Habanera,” played like lightning. 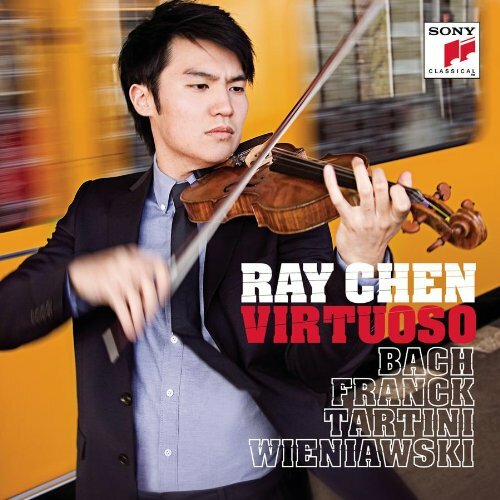 Ray Chen is well-known internationally as an up-and-coming violinist. 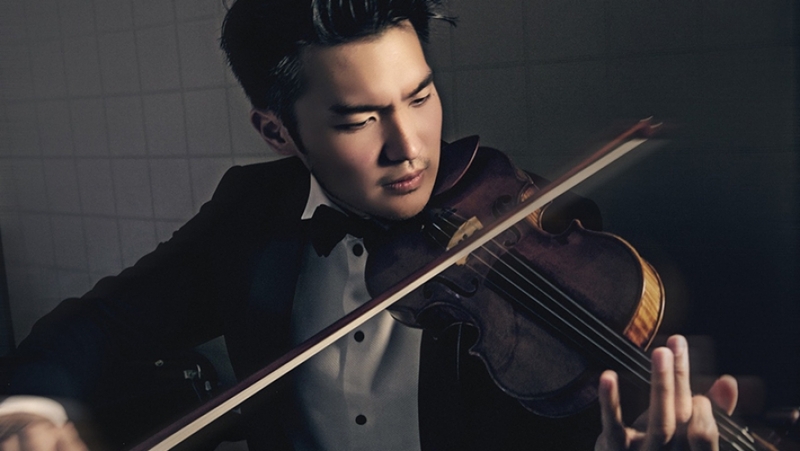 With a friendly, approachable attitude and a passion for spreading the love of classical music, he is destined to join the iconic ranks of Yo Yo Ma and Lang Lang. When I caught up with Chen over the phone recently, he was in Caracas, Venezuela, invited by Conductor Christian Vásquez to play with the kids from El Sistema. When he comes to Santa Barbara on Wednesday, October 21, as part of UCSB’s Arts & Lectures series, Chen will be playing pieces by several composers including Beethoven, Saint-Saëns. Tell me more about your experience in Venezuela. They have 20+ youth orchestras there and I’m playing with the Teresa Carreño Youth Orchestra, doing master classes every day. The concerts here are performed free of charge and are packed with people. I’m also visiting the nucleus program where the kids start at 3-4 years old. You started with the Suzuki method right? What’s the difference between the El Sistema vs. the Suzuki method? The only thing that’s musicaly similar, is playing together. Suzuki’s method is great and I love him; it taught me how to enjoy music, be apart of something bigger and be humble. But in Venezuela, you have kids that are scraping by, living on $20 a month, so the government is trying to keep kids off the street by providing them with instruments. It’s in the curriculum now, and has become very competitive. I was told there are 700,000 kids playing classical music now and has it captured the hearts of so many people. What do you have in store for Santa Barbara this time? I try to perform lesser-known compositions from famous composers and famous compositions from lesser-known composers. For the first half I’m playing with Julio Elizalde and for the second half I’m doing solo pieces. I’ll be playing Beethoven, Eugène Ysaÿe, Manuel De Falla, and Santa Barbara will be one of first audiences to hear me playing HYPERLINK “http://imslp.org/wiki/Category:Monti,_Vittorio” Vittorio Monti’s Csárdás. You play on a Stradivarius right? What’s it like playing on that vs. a modern violin? Yeah, I’ve played on different Stradivarius violins, but the one I’m currently playing is [from] the golden period 1715 “Joachim” Stradivarius violin. He was big deal violinist in his day and now I’m playing on it, which is pretty cool. To ask what the difference between specific Stradivarius vs. non-specific makers is not a fair question. However, I have two violins made by American maker Kurt Widenhouse, one that I’m playing here in Venezuela. Modern instruments need to be aged well. You got to play well on them and take care of them. You paint a very thin layer of sound inside the instrument every time you play on it — then it starts resonating more. Just in one year I have notice the drastic change in my instrument. Also a big part of it is the psychological aspect to playing the instrument. If I told you that I was pouring a glass of $10,000 Chateau “something” you would expect for it to taste good, right? Now, if I switched the wine inside the bottle and poured you a glass of a $100 bottle, would you still know? That’s what it like playing a ‘Strad’ vs. a modern instrument — violinists listen with their eyes, not with their ears. The instrument helps, but its really about how well you can play on it. What would you say is your biggest strength as a violinist? What makes Ray Chen, Ray Chen? [Laughs] After you sort out the music and playing, there’s a lot of thought that comes into what kind of an artist I want to be. Do I want to be the kind of artist that is so amazing at a concert, who is perceived as god-like and “I’ll never be like him,” or be the artist who is also great, but is a normal person that goes on stage, perceived as “If I work just as hard, I can be like him, if I choose to go in that direction.”. I want to inspire the audience in that kind of an angle. I think what makes me different or unique from Yo Yo Ma or Lang Lang, is that I want people to think they could be me. I want to show people that I’m a normal person, literally a normal guy. That’s the new generation on social media, that’s what people are attracted to, people who are just willing to be themselves — that is what people relate to. I’ve seen you’re YouTube channel; it’s funny and your personality really shines through. Do you have team that you work with? No, no, it’s just me. I use Twitter a lot, and put stuff on Facebook, Instagram, and YouTube. I want people to get to know me, and break the stereotype that classical music is unapproachable or unfriendly. It’s like this executive club member feeling, where a lot of people don’t know how to get into it. There are two camps: there’s one camp that says classical music is not for everyone that “the audience will come to us,” that “well not everyone can afford a three-star Michelin restaurant, so why should we make it more affordable and accessible?” I got to say that those people, where they already have a dedicated audience, are stuck in their ivory tower. No one has to go to music school to appreciate it classical music. You don’t have to be “educated” to enjoy it. You just have to introduce it to the audience, in the right context. I have personal friends that ask me, “What should we wear for the concert?” and I tell them you wear what you want, but they still decide to go Great Gatsby style in tuxedos. There shouldn’t be these kinds of questions; I mean for me, it should be what people want to do. Unfortunately, this album seems to follow a fairly predictable template intended to garner the largest possible audience. Ostensibly focused on the early 20th century (pre-Schoenberg), it contains multiple transcriptions, including "Clair de lune" and some Satie, Gershwin's "Summertime," and a version of "Waltzing Matilda." The only work written by an actual composer and played in its original intended setting is the Bruch Concerto. There is nothing challenging about this disc, and the playing never really convinces us of the reason for its existence (although it is competent enough). It seems Chen or his managers are trying to emulate Yo-Yo Ma's catholicism without first establishing his depth. Chen even seems to adopt Ma's signature swelling vibrato and portamento style of playing. Such a missed opportunity, I think. When I listen to music, I want to hear someone who has gone someplace and is coming back to show me. Not this perfunctory corporate sales tactic.